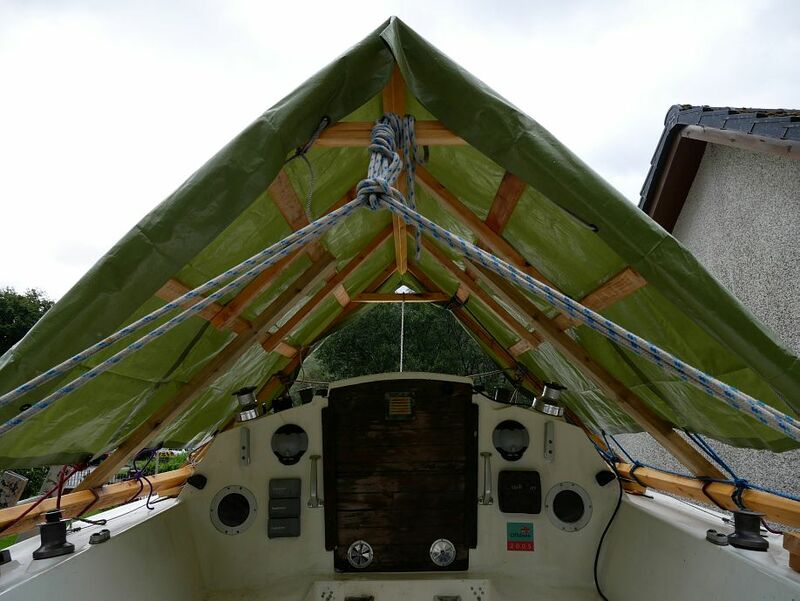 Tarps on boats typically cause as many problems as they solve. 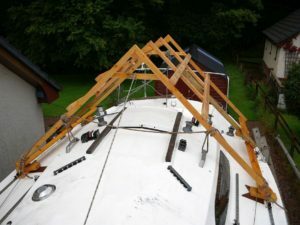 They obstruct access, rattle in the wind, risk rubbing the boat if in contact with (or lashed to) the hull, and don’t shed snow unless carefully framed to do so. 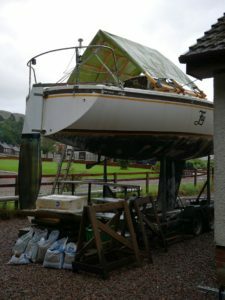 So while Fly was necessarily under full tarp cover for a while, I didn’t really like the arrangement… and hated it when those Alkathene hoops buckled under the snow they couldn’t shed and loaded up the tarp over squashed tarp frame! 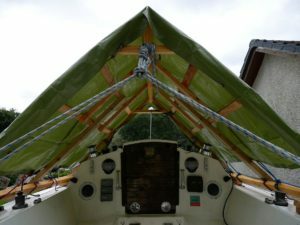 Now you can see it’s not your average tarp set-up at all… more a proper little roof for which I’d actually considered using proper little roofing but just happened to finish with a tarp instead. 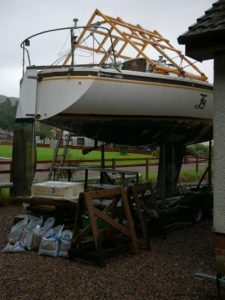 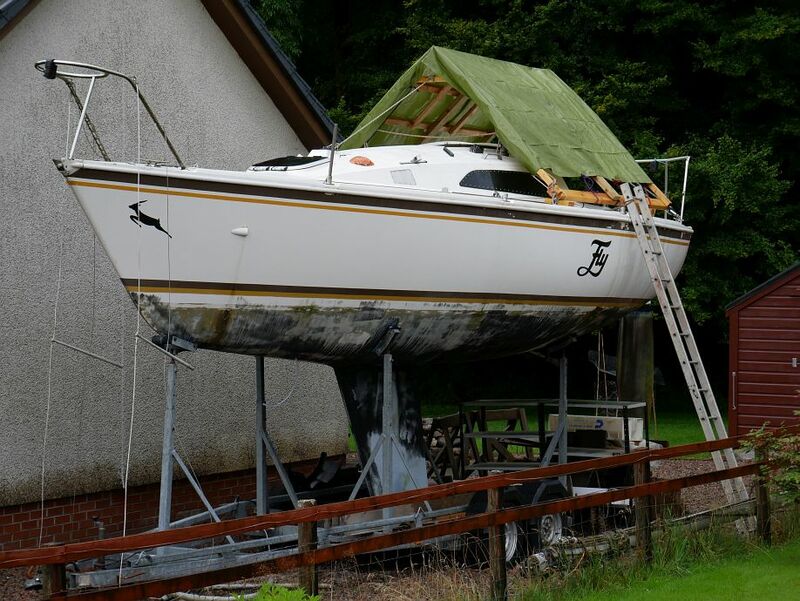 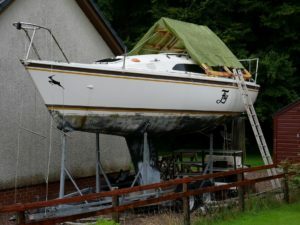 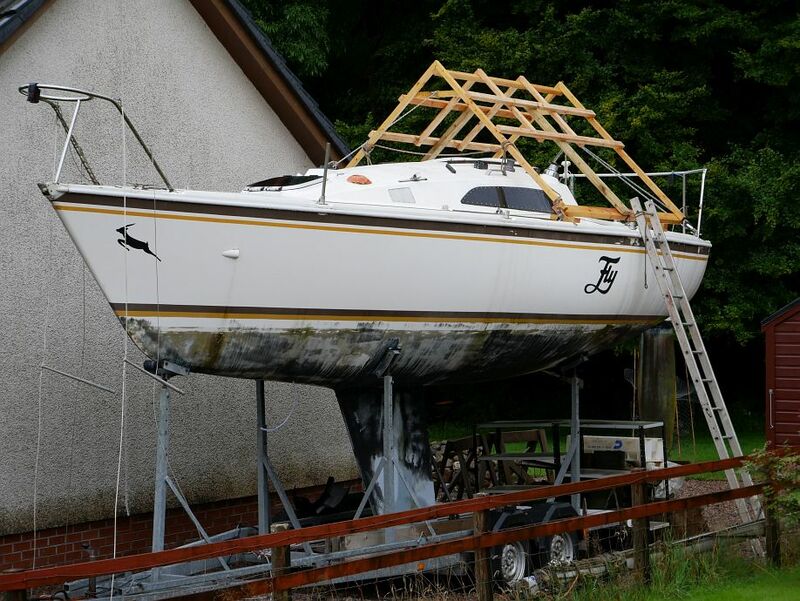 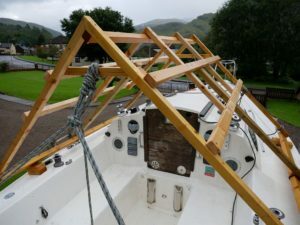 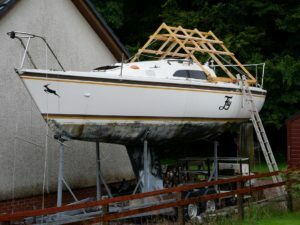 It’s strongly built (starting with the A-frames in my workshop, then everything else screwed together in-situ), steeply pitched (45°), and the tarp’s securely lashed to frame, not boat, with a ‘door’ at the top of the ladder easily opened and secured by a couple of half hitches in a dedicated short length of rope.